A wrongful death occurs when someone negligently or intentionally causes the death of another person. If you have experienced the wrongful death of a loved one, you know that no amount of money can compensate you. However, you can minimize the financial ramifications of your loss and impose consequences on the wrongdoer, which might prevent future losses for other families. Construction site or other workplace accidents. Sometimes, the individual responsible for the death will also be subject to criminal charges, but it is not necessary to have a criminal conviction in order to succeed in a wrongful death claim. Furthermore, it is enough that the act that caused the death was negligent, intentional or not. 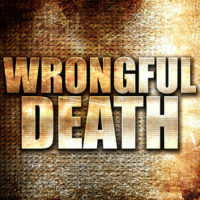 In Florida, wrongful death actions are governed by the state’s Wrongful Death Act. The Act’s stated purpose is to shift the losses caused by wrongful deaths away from the decedent’s survivors, to the wrongdoers. Thus, according to the statute, a right of action exists when a person’s death is caused by another’s wrongful act, negligence, breach of contract or breach of warranty. That the decedent would have had a legal claim against the defendant for his injuries if he had survived. A wrongful death lawsuit is filed by the decedent’s personal representative, who may be appointed by the court or named in the decedent’s will or estate plan to administer the estate. The court will frequently appoint a surviving spouse as personal representative. The child of an unmarried mother. A child born to unmarried parents whose father suffers a wrongful death is not considered a survivor eligible for recovery unless the father has previously recognized his responsibility for the child’s support. A loved one’s accidental death can be devastating to the survivors, both emotionally and financially. The experienced and compassionate wrongful death lawyers of Lesser, Lesser, Landy & Smith, PLLC, have successfully represented the families of victims killed in all manner of accidents, helping them to make sense of the legal and financial aspects of their losses. We serve clients in West Palm Beach, Stuart and Boca Raton. Contact us for a consultation about your case today.